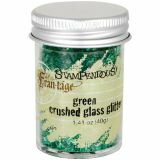 Stampendous Crushed Glass Glitter - STAMPENDOUS-Crushed Glass Glitter. 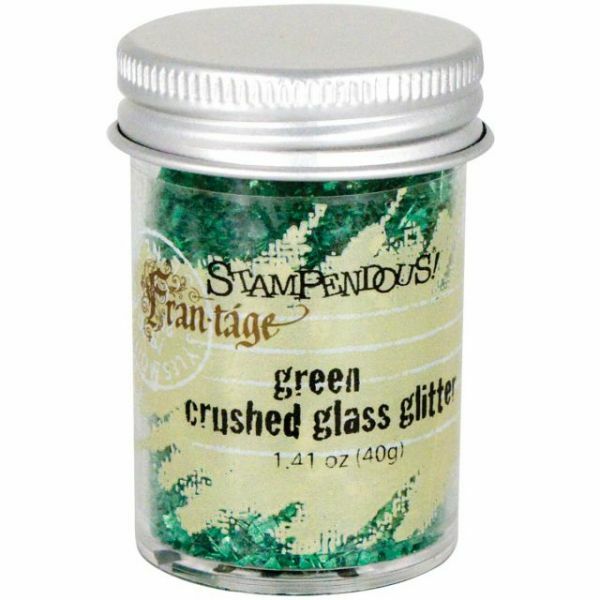 This chunky crushed glass glitter adds a vintage charm to projects. It can be applied with adhesive, sprinkled into melting embossing enamel, and even colored with permanent inks. This package contains one 1.41 oz (40g) jar of glitter. Color: Green. Imported.